Our students have grown to be quite particular about designing information by putting a good deal of personal selection into their work. For this reason, we wanted to find ways to use technology to publish their sketchnotes, not only as images, but also as a way to extend their understanding of the content. To do this, the students combined a number of tech tools, including Kidblog, Thinglink, and Twitter, to write, design, and share their projects. They wrote the content in Kidblog to explain the basic features of a civilization as they related to the Sumerian culture of Mesopotamia. This was a perfect space for them to develop their ideas, get timely feedback, and publish their work. Once the final content was completed, the kids photographed their sketchnotes using the iPad. For some of them, this was a process in and of itself. Since we constantly talk to them about presentation, we insisted that they learn to control the device to take straight and accurate photographs that could be cropped for the best possible way to enhance the overall appearance. 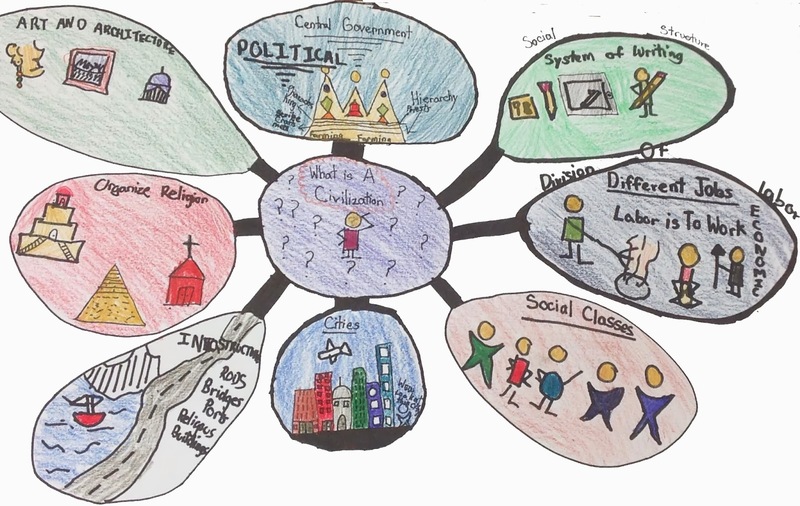 They uploaded their sketchnote images to use in Thinglink and created the hot spots by copying the information they published on Kidblog. Having the content edited and published ahead of time allowed the students flexibility in designing their Thinglinks. When these were finished, the students used Twitter to share their work with the class. This project, like others we've done, fall into the category we call DLIT (design, literacy, information, and technology). It combined multiple layers of information designed by hand and on a device with technologies that included the use of a digital photograph, web application, app, and social media. Employing an array of different tools provided the students with more than one way to display what they'd learned, and it made them more nimble users of technology.